"A new blood test can help doctors tease out whether an infection is caused by a bacteria or a virus within two hours," BBC News reports. The test, which looks at protein pathways in the blood, could help to appropriately target the use of both antibiotics and antivirals. In many cases, it is unclear whether a person’s symptoms are being caused by a viral or bacterial infection, and current testing can take up to several days to find out. In cases of severe illness, antibiotics are usually prescribed while waiting for the results, and this can contribute to antibiotic resistance. Israeli-based researchers who developed the test used 1,002 children and adults who had been admitted to hospital. The test was good at distinguishing between viral and bacterial infections, and separating people with and without an infectious disease. However, it needs to be used by a greater number people, to test its effectiveness, and has not yet been used to influence treatment. Further research, including randomised controlled trials, will be required before it could be used in a clinical setting. The study was carried out by researchers from several institutes and medical centres in Israel. It was funded by MeMed, a company based in Israel that designs and manufactures diagnostic tests. Most of the researchers were employed by MeMed and some reported owning stock options with the company. The study was published in the peer-reviewed medical journal PLOS One. It is published on an open-access basis, so is free to read online. The research was accurately reported by BBC News. This was a laboratory study, which used blood samples from a cohort of patients admitted to hospital. It aimed to develop a blood test that could distinguish between viral and bacterial infections. Overuse or incorrect use of antibiotics leads to the inadvertent selection of bacteria that have resistance to them. Over time, the resistant bacteria can become more common, making the drugs less useful. This is causing global concern, as infections that have been easy to treat with antibiotics may now emerge as serious, life-threatening conditions. This can happen by people being given "broad spectrum antibiotics". This happens when an infection is suspected, but before any microbiological results can show the exact type of infection. This means that some people will be given the wrong antibiotic, too many antibiotics or an antibiotic for illness caused by viruses, which will be ineffective. Current tests that can be speedily obtained when an infection is suspected include non-specific markers of infection and the number of different white blood cells. These cells are specialised to fight different types of infections, with neutrophils mainly fighting bacteria and lymphocytes mainly fighting viruses. However, the interpretation of these tests is not straightforward, as both can be increased in each type of infection. The researchers took blood samples from 30 people and measured a number of proteins that are produced by the immune system in response to bacterial or viral infections. They used this information to create a blood test that measured these proteins. They then tested how accurate it was in 1,002 children and adults admitted to hospital with or without a suspected infection. The researchers then used the test on blood samples from children and adults from two medical centres who were suspected of having an infection due to a fever of over 37.5C developing within 12 days of the onset of symptoms. A control group consisted of people who were not suspected of having an infection – such as people with suspected trauma, stroke or heart attack – or healthy people. After all usual test results were obtained, a panel of three clinicians individually reviewed the clinical notes and test results, and recorded whether each person had a bacterial infection, viral infection, no infection, or that it was unclear. The three doctors made their assessment independently and were not told what the other doctors had decided, and did not know the result of the test in development. They compared findings from this expert panel with the results of their blood test. A total of 765 participants were diagnosed with either a viral infection, bacterial infection or no infection. Additionally, there were 98 people who did not have a clear diagnosis. The test was good at distinguishing between viral and bacterial infections, and separating people with and without an infectious disease. The test remained robust regardless of where the infection was, such as in the lungs or the gut, or variables such as age. Results were not clearly presented for the 98 people without a firm clinical diagnosis. The researchers concluded that "the accurate differential diagnosis provided by this novel combination of viral- and bacterial-induced proteins has the potential to improve management of patients with acute infections and reduce antibiotic misuse". This new test shows promising results in distinguishing between viral and bacterial infections. This is important because of increasing antibacterial resistance and could help doctors to tailor treatment quicker when someone is admitted with a suspected infection. At present, distinguishing between different types of infections is complex and relies on symptoms, signs, a variety of clinical tests and clinical judgement. One of these tests is the CRP, which is used as an indicator of the severity of infection or inflammation, and is often used to monitor this over time. It is surprising that it has been used as one of the determinants in this new test, as it is considered to be a non-specific marker of inflammation or infection and increases in both viral and bacterial infections. While the results of the study are positive, it’s important to realise that the test is not ready to be used on the general population. It will need to be tested on larger groups of people to confirm its accuracy. In addition, studies will need to show that it delivers benefits to patients in the way it is hoped – for example, finding out whether using this test leads to more accurate prescribing of antibiotics, less antibiotics being prescribed, or speeds up the process of diagnosing infection. Further research along these lines, including randomised controlled trials, will be required before it could be used in the clinical setting. Although the test appeared to be good at distinguishing between viral and bacterial infections, it is unclear what results were obtained for people who did not end up with a clear diagnosis using the best existing methods. We do not know if the new test gave a result for these people or was inconclusive. This group doesn’t appear to benefit from the old or new testing methods, so will need to be explored in the next phases of research. You can help slow down antibiotic resistance by always completing a course of prescribed antibiotics, even if you feel well before the end of the suggested course of treatment. Remember: antibiotics are not effective against colds, most sore throats and flu. “Breakthrough pill can cure diabetes,” is the completely misleading report in the Daily Express. While researchers have achieved some level of success in using bacteria to improve diabetes control in rats, this in no way amounts to a cure for humans. The rats had an equivalent of type 1 diabetes, where the pancreas fails to produce the insulin needed by the body to regulate glucose. The rats were given a daily pill of a genetically modified bacterium. This engineered bacterium secreted a compound that converted cells in the lining of the gut to produce insulin. After 90 days, these diabetic rats were able to reduce blood glucose levels in a similar way to healthy rats. While diabetic rats fed a normal type of this bacterium had 60% lower levels of insulin and were not able to reduce their blood glucose levels adequately. Though the treated diabetic rats were able to produce more insulin, the overall level of insulin was still half that of normal rats. This is preliminary research and there are many questions unanswered, such as how many cells might be converted over time. In addition, it should be made clear that this was not a probiotic pill. This was a genetically modified bacterium. And, even assuming the engineered bacterium was safe to use in humans, an increase in insulin levels, while welcome, does not amount to a cure for diabetes. The study was carried out by researchers from Cornell University, New York and was funded by the US National Institutes of Health and the Hartwell Foundation. A conflict of interest has been declared by one of the authors as he is involved with a company that has licensed this technology. The study was published in the peer-reviewed medical journal Diabetes. The pill is not strictly a “probiotic” as reported by the media. Probiotics are live bacteria and yeasts that are usually present in the human body. The bacteria in the pill in this study has been genetically engineered to secrete a compound called GLP-1, and it is not known what effects this might have if ingested by humans. Any talk of a cure for diabetes is highly misleading, and arguably irresponsible, as it may offer false hope to people living with diabetes. This was an animal study in which diabetic rats were given a daily pill of a modified bacterium to see what effect it had on their glucose and insulin levels. Insulin regulates the level of glucose in the blood and is produced by beta cells in the pancreas. In type 1 diabetes, the pancreas no longer produces insulin as the beta cells have been destroyed by the body’s immune system, and so insulin injections are required. While people with type 2 diabetes have a reduced response to insulin, so higher levels are needed to maintain healthy blood glucose levels. Initially the pancreas responds by making extra insulin, but over time this fails. Type 2 diabetes is managed through diet, medication and in some cases, insulin. Previous research found that a compound called GLP-1 can convert intestinal cells into cells that produce insulin. The problem is that GLP-1 in humans breaks down quickly in the blood (it has a very short half-life) so the challenge is to find a way to move the compound into the intestine. These experiments were conducted on cells in the laboratory setting. The researchers wanted to see if they could find a way to get GLP-1 to intestinal cells in rats and whether these cells could be reprogrammed as they were in the laboratory. The researchers engineered Lactobacillus, a bacterium that is usually present in the human gut, to secrete a compound called GLP-1. They created a pill of these bacteria and gave it to rats with type 1 diabetes to see if it could deliver GLP-1 to the gut wall. They then investigated whether it changed the type of cells lining the intestine so that they could produce insulin. Healthy rats were kept in the same conditions and given a placebo to act as a control. To test whether the GLP-1 had converted any cells to produce insulin, after 51 days the rats were fasted for 10 hours and then given an injection of glucose. Blood glucose and insulin levels were measured after 30 minutes, one hour, one and a half hours and two hours. At the end of the 90 days, the cells lining the intestine and the pancreas were examined and the level of gut bacteria was measured. There was no significant difference in the blood glucose or insulin levels in diabetic rats fed engineered Lactobacillus compared with healthy control rats. Whereas diabetic rats fed normal Lactobacillus had higher blood glucose and lower blood insulin levels, as would be expected. The level of insulin in the intestines of rats fed engineered Lactobacillus was more than five times higher than either of the other groups of rats. These rats had insulin-secreting cells in their intestines that had features of beta cells (the cells that produce insulin in the pancreas). These cells appeared to produce insulin in response to glucose. On average, 0.06% of the intestinal cells had been converted to secrete insulin. Rats fed engineered Lactobacillus had 60% more total insulin than those fed normal Lactobacillus. The overall level was half that of the control rats. The authors concluded that feeding diabetic rats the genetically engineered bacteria can cause them to produce insulin in response to eating, which significantly reduced their blood glucose levels. They say this appeared to have been produced from cells in the intestine that had been transformed from normal gut cells to insulin secreting cells. The researchers call for further work to be done to fully understand the mechanism involved. This animal research has shown that a pill of genetically engineered Lactobacillus can convert cells lining the gut into cells that produce insulin in rats. This conversion was made by stimulating the cells with a compound called GLP-1 that was secreted by these modified bacteria that are usually present in the human gut. The researchers were able to demonstrate that the cells had changed function to become more like the beta cells that usually produce insulin in the pancreas. They also showed that the insulin reduced the rats’ blood glucose levels to that of control rats. There are a number of questions that need to be addressed before this new technique progresses to primate studies on the long road to becoming a treatment for either form of diabetes. Over the 90 days 0.06% of the intestinal cells were converted but it is unclear whether this proportion would increase over time and whether this depends on the dose of bacteria given. It is also not known whether these cells need daily bacteria to continue to behave like cells from the pancreas or whether the change is permanent and the cells can renew. There are also unanswered questions about what effect having a reduced number of normal intestinal cells could have on the function of the gut. Finally, it will need to be determined how any such cell renewal is controlled so that it does not go into overdrive and produce too many insulin producing cells. Overall, the results of this preliminary piece of research are encouraging in the search for a possible cure for diabetes, though this is still a long way off. Are power naps a 'five-fold' memory booster? "A 45-minute power nap can boost your memory five-fold," reports The Independent. This headline is based on a study that looked at the impact of napping on healthy volunteers’ ability to remember single words or word pairs in a memory test. After being shown the words for the first time and then being tested on them, volunteers were split into two groups. The first group was allowed a 90-minute nap and the second group were made to stay awake. It found that those who had a nap remembered similar numbers of word pairs after their nap as they had before their nap, while those who stayed awake tended to not remember as many. The students tended to forget some of the single words between the two tests, regardless of whether they had a nap. There are a number of limitations to this study – particularly its small size, with just 41 participants being analysed. This may be why the researchers were not quite able to rule out the idea that the differences between the groups occurred by chance. The limitations mean that we can’t conclusively say that napping is better for memory than not napping based on this study, particularly in real-world situations. Sleep is known to be important for memory, and there is increasing interest in the effects of napping. For example, a study we discussed earlier this year suggested that napping improves memory retention in infants. The study was carried out by researchers from Saarland University in Germany. Funding was provided by the German Research Foundation. The study was published in the peer-reviewed journal Neurobiology of Learning and Memory. The UK media tended to overplay the findings of this small study. Most of them refer to a "five-fold" improvement in memory, which appears to come from a quote from one of the study authors. The author is also quoted as saying that: "A short nap at the office or in school is enough to significantly improve learning success." This five-fold figure does not appear to be specifically mentioned in the research paper, and the differences between the groups at the end of the study were not quite large enough to rule out the idea that they occurred by chance. Although the headlines talk about memory "improvement", what actually happened was that performance on the memory test stayed about the same after a nap, but got worse without one. We also can’t be sure whether the simple tests used in this study are representative of routine office or school tasks. This was a randomised controlled trial (RCT) looking at the effect of a nap on specific aspects of memory. Sleep is thought to be important for "consolidating" our memories – essentially strengthening them and making it more likely that we remember. The researchers reported that a number of studies have shown that people perform better in certain memory tasks after sleeping than after staying awake for a similar period. However, they say that the effect of naps on different aspects of memory has been studied to a lesser degree. The researchers wanted to look at the impact of naps on "associative memory" – the ability to learn and remember the relationship between two items – such as a person’s name, which relies on a part of the brain called the hippocampus. They also assessed "item memory" – the ability to remember whether we have seen or heard things before – which does not rely on the hippocampus. An RCT is the best way to compare the effects of different treatments or interventions – in this case, a nap and a control (watching a DVD). This is because the groups being compared should be well balanced in terms of their characteristics, meaning only the intervention should differ between them and therefore be responsible for the differences in outcome. However, in small studies such as this, even randomly assigning people may not be able to achieve balanced groups. The researchers enrolled healthy young university students and tested their memory for word pairs or single words they had been shown. They then randomly allocated them to either have up to a 90-minute nap and then watch a 30-minute DVD, or just watch DVDs for two hours. After this, they tested their memories for the words again, and compared the performance of those who napped and those who stayed awake. There were 73 students who agreed to take part in the study, but 17 were excluded because the results of their initial memory test suggested that they were just guessing. An additional 15 were excluded after the test, as they performed particularly badly or they had not napped when they were meant to, or napped when they were not meant to. None of the students had sleep disorders or neurological problems, and they were all paid to take part in the study. The memory test involved showing the students 120 unrelated word pairs (for the associative memory test) and 90 single words (for the item memory test), each appearing briefly on a screen, and asking them to remember them. About half an hour later, the students were shown 60 single words and 60 word pairs, and asked if these were words or pairs they had seen before. The students then had their nap or watched the DVDs, depending on which group they had been assigned to. The DVDs only had music and images, and not words. Those who had a nap had their brainwaves monitored. They also watched about 30 minutes of one of the DVDs after they woke up to give them a bit of time to get over any residual sleepiness. The groups then did the word test again, this time with 120 word pairs and 120 single words. The researchers compared the performance of those who napped and those who didn’t, both before and after the nap. They also looked at whether brainwave activity during the nap predicted a person’s performance on the memory test. The napping group slept for about 64 minutes, on average. The researchers found that both those who napped and those who didn’t performed worse on their second single word (item) memory test than they had at the start of the study shortly after they first saw the words. The group who did not nap also performed worse in their second word pair (associative) memory task than they had at the start of the study. However, those who had a nap performed similarly on the word pair memory task at the start of the study and after their nap. This suggested that the nap had helped them to retain their memories of the words. The difference between the groups in their performance on the second word pair test was near to, but not quite reaching, what would be considered statistically significant (that is, enough to have a high level of certainty that it did not occur by chance). The researchers concluded that "these results speak for a selective beneficial impact of naps on hippocampus-dependent memories". This small study has suggested that in healthy adults, a nap of about an hour might help to retain one type of newly formed memory – associative memory of unrelated pairs of words – but not item memory of single words. The study was small and only included healthy young adults. The results may not apply to other groups of people, and ideally would be confirmed in larger studies. While the reduction in associative memory in the group that stayed awake was statistically significant, the difference between the napping and non-napping groups in the word pair test at the end of the study was almost, but not quite, large enough to reach this level. That is, it was not quite enough to give a high level of certainty that it did not occur by chance. This may be due to the relatively small size of the study, and again suggests that larger studies are needed. Some students were excluded after they had been randomly allocated to their groups; this can lead to imbalance between the groups and affect results. Ideally, results would have been shown both with and without those students included, to see if it made a difference. Analysing all the participants in the groups to which they were assigned, regardless of what happens to them, is an approach known as "intention to treat". We don’t know how long the effect of the nap would last, as participants were only assessed a short time after their nap – with the tests all happening on one day. The tests were simple word-based memory tests, and naps only affected one aspect of memory. We don’t know whether the naps might make a difference in remembering more complex information or different types of memory not tested in this study. Overall, the study by itself does not conclusively show the benefits of naps on memory in our day-to-day lives. How many lives would early cancer diagnosis save? The post How many lives would early cancer diagnosis save? appeared first on Full Fact. "Paracetamol doesn't help lower-back pain or arthritis, study shows," The Guardian reports on a new review. The review found no evidence that paracetamol had a significant positive effect, compared to placebo (dummy treatment) in relieving pain and disability in cases of acute lower back pain and was only minimally effective in osteoarthritis. Before you start clearing out your medicine cabinet, the results of this review are not as clear-cut as reported. The findings for lower back pain are based on three randomised controlled trials (RCTs), which, when grouped together, found no difference for pain relief, disability or quality of life between paracetamol and placebo. However, there are limitations in each of these studies. Two of the studies were small and the third only looked at acute lower back pain up to six weeks, when paracetamol may not be strong enough. They did actually find that paracetamol slightly improved pain and disability from osteoarthritis of the hip or knee compared to placebo. The study does not prove that paracetamol is no better than placebo for other types of back pain, such as chronic back pain (pain that persists for more than six weeks). The National Institute for Health and Care Excellence (NICE) recommends that people with persistent back pain and recurrent back pain should stay physically active to manage and improve the condition. Paracetamol is recommended as a first choice of painkiller because it has few side effects. NICE recommends that if this is not effective, stronger or different types of painkillers should be offered. This guidance is currently under review, and this will take into account any new research such as the results of this study. The study was carried out by researchers from the University of Sydney, St Vincent’s Hospital and University of New South Wales and Concord Hospital in Sydney. It was funded by the National Health and Medical Research Council. The study was published in the peer-reviewed British Medical Journal (BMJ) on an open-access basis so is free to read online (PDF 673kb). The UK media reported the story accurately but did not explain any of the limitations of the study. This was a systematic review of all RCTs assessing the effectiveness of paracetamol for back pain and osteoarthritis of the hip or knee compared to placebo. The researchers also performed a meta-analysis. This is a statistical technique that combines the results of the RCTs to give an overall measure of effectiveness. Pooling the results of multiple studies can help to give a better estimate of effectiveness, which is sometimes not seen in the individual studies, for example if they are too small. This type of research is good at summarising all the research on a question and calculating an overall treatment effect, but relies on the quality and availability of the RCTs. Paracetamol is currently recommended as the first line for pain relief for back pain and osteoarthritis of the hip and knee in clinical guidelines. The researchers wanted to assess whether this recommendation is backed up by the evidence. A systematic review and meta-analysis was performed to identify and pool all RCTs that have assessed paracetamol compared to placebo for back pain and osteoarthritis of the hip and knee. The following medical databases were searched for RCTs published up until December 2014: Medline, Embase, AMED, CINAHL, Web of Science, LILACS, International Pharmaceutical Abstracts, and Cochrane Central Register of Controlled Trials. A search was also made for unpublished studies, and authors were contacted for further information where required. Trials were excluded where a specific serious cause of the back pain had been identified, such as a tumour or infection, if they looked at post-operative pain and studies of people with rheumatoid arthritis. The quality of each RCT was assessed using the standardised approach called a "risk of bias" assessment. The strength of the body of evidence as a whole was summarised using the internationally recognised GRADE approach (The Grading of Recommendations Assessment, Development and Evaluation). A meta-analysis was then performed to pool the results of trials in people with the different conditions using appropriate statistical methods. This included an analysis of whether the RCTs were similar enough to be combined. The researchers also performed "secondary exploratory analysis", which looks at the effect various different factors may have had in biasing the results. Paracetamol slightly improved pain and disability from osteoarthritis of the hip or knee compared to placebo. People experienced a similarly small number of side effects when taking paracetamol or placebo. However, people taking paracetamol were four times more likely to have abnormal liver function tests than those taking placebo. The review did not describe how abnormal the tests were or how quickly the tests returned to normal after stopping paracetamol. The researchers concluded that "paracetamol is ineffective in the treatment of lower back pain and provides minimal short term benefit for people with osteoarthritis". They call for "reconsideration of recommendations to use paracetamol for patients with lower back pain and osteoarthritis of the hip or knee in clinical practice guidelines". This systematic review and meta-analysis suggests paracetamol may not be effective for some people with lower back pain and of limited help to people with osteoarthritis of the hip and knee. However, as noted above, this type of research is reliant on the availability of relevant RCTs. So while the review itself was well-conducted, the actual body of new evidence found about lower back pain was small. In this case, the results for back pain were limited to three studies in specific populations. Non-specific lower back pain (i.e. back pain without an obvious cause) is complex in nature and these small studies may not be representative of all people who experience lower back pain. The first study was small, of 36 adults on strong (opioid) painkillers for at least six months for chronic back pain. While on these painkillers they did not find any difference in pain between an injection into the vein of either paracetamol, placebo or the non-steroidal anti-inflammatory drugs (NSAID) diclofenac and parecoxib. The second study assessed the effect of paracetamol in acute back pain in 113 people after two and four days of use, compared to 20 people on placebo. The small study size limits the strength of the results. It may be that paracetamol was not a strong enough painkiller at this point in the course of the back pain, but may have been during the recovery phase. The main outcome for the third study was whether paracetamol speeded up the time to recovery from acute lower back pain compared to placebo. How effective paracetamol was at pain relief was a secondary outcome so may not be as reliably assessed. Some people will find paracetamol helps relieve the pain with relatively few side effects compared to other types of pain killers. The NICE guideline recommends paracetamol as a first line pain relief drug for lower back pain that has lasted for at least six weeks, along with other measures such as staying active. They recommend that if this does not provide adequate pain relief, then an NSAID should be offered. NICE is currently updating its guidance on lower back pain and will take the results of this review into account. NICE’s guidance also recommends paracetamol as a first line pain relief drug for osteoarthritis, however it does note that an evidence review suggested paracetamol may not be as effective for these people as originally thought. They are going to be reviewing this guidance (a draft is expected in 2016), and may revise their recommendations at that point, but for now have kept their existing guidance. If you are finding that any prescribed treatment doesn’t seem to be working then you shouldn’t suddenly stop taking it (unless advised to). You do have the option of contacting your GP or doctor in charge of your care to discuss alternative drug (as well as non-drug) options. GCSE and A Level reform: are the new qualifications returning a ‘gold standard’ of assessment? The post GCSE and A Level reform: are the new qualifications returning a ‘gold standard’ of assessment? appeared first on Full Fact. In the last five years, austerity has undermined our public services, lowered the living standards of working people, pushed more children into poverty and held back economic growth. 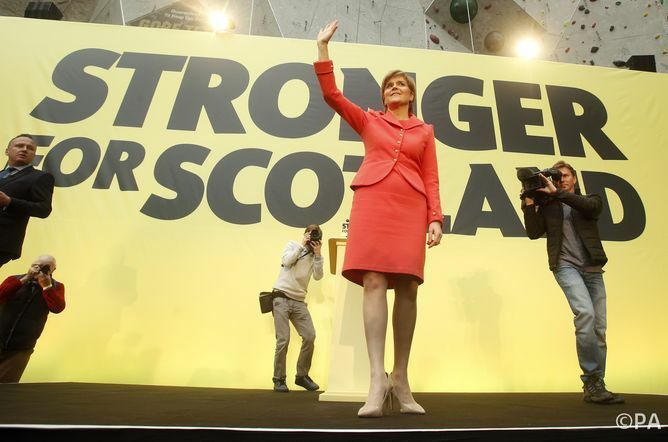 Nicola Sturgeon, Scottish first minister and Scottish National Party leader at the party’s manifesto launch. It is easiest to start at the end. Conventional macroeconomics would agree that fiscal austerity and cuts to government spending did hold back growth. The Office for Budget Responsibility estimate that austerity reduced growth by 1% in each of the financial years 2010-11 and 2011-12. In the graph below, the orange bars show the impacts on growth of austerity expected in 2010 and the blue bar how they have changed. Others have higher estimates. The key point here is that because short-term interest rates had fallen as far as the Monetary Policy Committee of the Bank of England thought they could go (0.5%), monetary policy was not able to offset the impact of fiscal contraction – cuts to government spending, or austerity. Instead, monetary policy had to resort to Quantitative Easing: creating money to buy long term assets in order to put downward pressure on long term interest rates. Quantitative Easing probably had some effect on the growth rate, but almost certainly not enough to counter the impact of fiscal austerity. Lower growth caused by fiscal austerity would normally mean one of two things: higher unemployment or lower living standards. An unusual feature of the past five years is how quickly unemployment has fallen, even though GDP growth has not been strong. As a result, the main impact of lower growth – including that caused by fiscal austerity – has been on living standards. 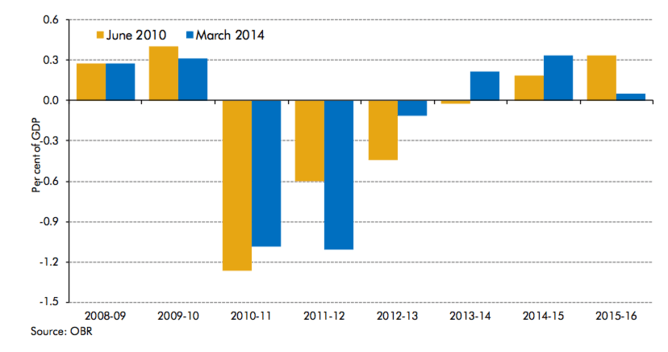 Fiscal austerity has involved reduced public spending in many areas, including welfare payments. The general consensus among economists such as those at the Institute for Fiscal Studies is that fiscal consolidation has hit two groups more than most: the rich and the poor. It is therefore reasonable to say austerity in itself has increased child poverty. As living standards have fallen generally, then relative levels of poverty in general – which measure the poverty gap – have not increased over the last few years, although absolute levels of poverty have. However, Sturgeon is careful in her statement to talk about the impact of fiscal austerity. The assertion that fiscal austerity has “undermined our public services” comes close to being a tautology. To suggest otherwise you would have to argue that spending less on public services has only increased the efficiency with which they were delivered. Nicola Sturgeon’s statement on the economic impact of austerity on the UK is correct, with no qualifications. I don’t have any major disagreements with the author’s analysis. There are two particular provisos that may be worth raising. The first is that the stagnation in standards of living under the coalition period (and from before that) partly reflects the UK’s very poor productivity performance at this time. It could be argued that this largely reflects austerity: had demand been higher, companies would have been able to sell more which would probably have resulted in higher productivity. For example, if a factory is idle, workers are under-employed or not able to get jobs in relatively high productivity sectors because of lack of demand. Alternatively the author may simply be arguing the austerity isn’t the only problem here, but it is one problem and so Sturgeon is correct. Second, Sturgeon’s comment about child poverty might be worthy of some specific reference to what has happened to it. It is not my particular area of expertise, but the previous decline in child poverty appears to have been reversed around 2011, although has remained flat since, and this may be worth noting. The authors do not work for, consult, own shares in or receive funding from any company or organization that would benefit from this article, and has disclosed no relevant affiliations beyond the academic appointment above. FactCheck: have pro-Russian separatists broken the ceasefire? “Half of women and 43% of men in England are now regularly taking prescription drugs,” BBC News reports. The figures have come to light as part of a new survey into drug prescribing patterns. There was also media controversy over the number of antidepressants being prescribed – particularly for women on a low income. Nearly one in five women from economically deprived areas were taking antidepressants. The Health Survey for England 2013 also monitored other trends in the nation’s health, including people’s weight, smoking habits, fruit and vegetable consumption, and shift work. The report was produced by the Health and Social Care Information Centre (HSCIC), the official provider of national health and social care statistics. The HSCIC was set up by the government in April 2013. Its role is to provide information on a range of aspects concerning health for use by commissioners, analysts and clinicians in driving patient services. In the interests of transparency we should point out that the Behind the Headlines team, along with all NHS Choices staff, is employed by the HSCIC. The HSCIC produces an annual Health Survey for England that monitors important aspects of the population’s health. The data comes from interviews with a representative sample of the population, carried out by the Joint Health Surveys Unit of NatCen Social Research and the Research Department of Epidemiology and Public Health, at the University of London. The interviews consisted of core questions and groups of questions on specific issues. Measurements such as blood pressure and waist circumference, and analysis of blood and saliva samples, were taken by a nurse. The researchers interviewed 8,795 adults and 2,185 children for the 2013 survey. Below are the key findings from the survey on prescription medication. 43% of men and 50% of women reported that they had taken at least one prescribed medicine in the last week. Almost a quarter of men (22%) and women (24%) reported that they had taken at least three prescribed medicines in the last week. This proportion increased with age, with more than half of participants aged 65-74, and more than 70% of those aged 75 and over, having taken at least three prescribed medicines. On average, 18.7 prescription medicines were dispensed per head of population in 2013. The most frequently reported prescribed classes of medicines were cholesterol-lowering drugs (16% of men and 12% of women), drugs to lower blood pressure (14% and 15% respectively) and for women, painkillers including NSAIDs (12%). Women (11%) were also more likely than men (6%) to be taking antidepressants. Women also demonstrated a significant variation by income class. 7% of women in the highest two quintiles of income were taking antidepressants, which rose to 17% of women in the lowest quintiles. The cost of medicines in 2013, including costs for use in hospitals, was more than £15 billion. More than 1 billion prescription items were dispensed in the community in England, an average of 2.7 million items every day. The Net Ingredient Cost in 2013 was £8.6 billion, an increase of £102 million from the 2012 cost. Not surprisingly, the report was widely covered in the media, with many papers focusing on the numbers of people taking prescription drugs. Much of the reporting took a negative tone. For example, the headline in The Times was “nation hooked on prescription medicine”. This is not particularly useful language as it implies that people are addicted to their medications. Medicines such as statins and ACE inhibitors are not addictive; though people often have to take them on a long-term basis to reduce the risk of serious complications such as heart attacks or strokes. BBC News and the Daily Mail were relatively more balanced, as they carried comments from Dr Jennifer Mindell, one of the report’s authors. Dr Mindell explained there had been big changes in the use of statins (which lower cholesterol), with millions more people eligible to take them today than a decade ago. This increase in eligibility for these drugs is likely to be the result of new evidence on cost and effectiveness, which has suggested that the benefits in terms of preventing cardiovascular disease may outweigh the risks for many people. Depression rates were generally higher among women than men because they were more willing to seek medical help, she reportedly said. The link between poverty and depression is also not particularly surprising, and is consistent with other observations from national reports and surveys in recent years that tend to show greater prevalence of both chronic mental and physical health conditions in more deprived areas. How to address this socioeconomic health divide is another matter. FactCheck: can Cameron solve the housing crisis? The post Hunt vs Burnham: nurse numbers do fall every summer appeared first on Full Fact. Is your purse a hotbed of bacterial infection? "More than 90 per cent of purses have bacteria on them, and women are the worst offenders," the Mail Online reports. A study found purses could be a reservoir for bacteria, especially those made out of synthetic materials. This study took swabs from the purses of 145 men and women from Mauritius, and tested them for bacteria in the laboratory. It found that bacteria could be grown from almost all purses (95%). The most common types of bacteria identified were Micrococcus and Staphylococcus, followed by Bacillus. Importantly, these are usually carried harmlessly on the skin of most people. It is only in specific circumstances – for example, if the person has a weak immune system or if the skin is wounded, allowing the bacteria to enter the body – that infection may take place. This study has many limitations. One is that it’s a small sample of purses taken from a tropical environment, and the findings may not be representative of the wider population or those from other countries. We don’t live in a completely sterile environment and ditching the purse or excessively washing it won’t make our environment – or us – bacteria-free. This study should not be a cause for concern for people who own a purse. Remembering to regularly wash your hands, particularly before eating or handling food, is likely to be a better way to reduce our chances of germs spreading that could lead to infection. The study was carried out by researchers from the University of Mauritius and was published in the peer-reviewed scientific journal Advanced Biomedical Research. No sources of financial support are reported. The Mail Online’s reporting that purses could be making us sick does not give very reliable coverage of this study or cover the important limitations. A key limitation is that the bacteria grown are naturally found on skin and in the environment, and normally pose no risk to healthy people. The study did not examine if the bacterial contamination of an individual purse went on to have an effect on a person’s health. They are also incorrect in saying that "women are the worst offenders" and that "bacteria growth was higher on the purses of women than on those of men". While the researchers do report that bacterial growth was higher on women’s purses, it also reports that the average number of bacterial colonies grown from men’s wallets was higher – so results do not appear to be clear-cut. This was a laboratory study that swabbed the purses and wallets from a sample of men and women to see what bacteria grew from them under culture (culture, in this context, means creating an environment ideal for the growth of bacteria). The researchers say that purses are hardly ever washed and are often only thrown out when they become worn out and unusable. What is often not considered is that they could be a breeding ground for bacteria. In fact, all of the things we use in the environment around us, like mobile phones, computers, keyboards and other equipment are all likely to carry some bacteria. The study recruited 145 adults (80 women and 65 men) from the general population in Mauritius. They answered questions on their daily life and work, materials of their purse and frequency of washing their purses. They then had swabs taken from the outer surfaces of their purses. These were then swiped across the surface of a gel "plate" in the laboratory, to encourage any bacteria on the swabs to grow. Bacterial growth was assessed after 24 hours, by counting the number of "colonies" – small clumps of bacteria – growing on each plate. Fewer than 20 colonies was defined as scanty growth, 20 to 50 colonies as moderate growth, and more than 50 colonies as heavy growth. Most of the purses sampled (43%) were made of leather; the remainder were synthetic (39%) and cloth (18%). Synthetic purses were more often used by women than men. Only 2% of women (three women) reported washing their purses once a month. The majority of purses sampled (95%) showed bacterial contamination. In about three-quarters (73%) this was scanty growth; 13% showed moderate growth and 14% showed heavy growth. The average number of bacterial colonies grown from each purse was significantly higher for men’s (25 colonies) than women’s purses (19 colonies). However, bacterial growth was said to be higher on women’s than men’s purses. These results appear to conflict with each other, and it was unclear why. 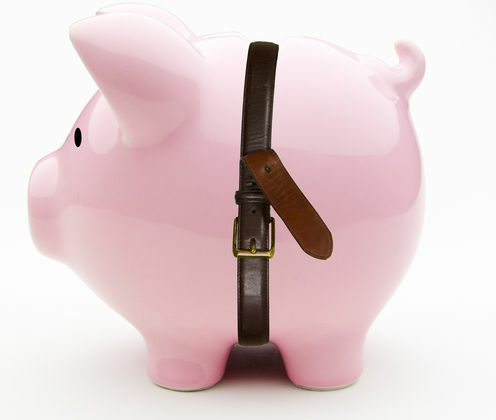 In roughly half of purses, there was only a single type of bacterial growth; in the other half, there was mixed growth. The most common bacteria grown were types of Micrococcus and Staphylococcus, each accounting for around two-thirds, followed by Bacillus (14%). Micrococcus was more common on the men’s purses, while Bacillus was found only on women’s purses. Synthetic purses showed a higher number of colonies than on leather or material purses. There were no other differences in bacterial growth by age of the purse or occupation of the person. The researchers say that theirs "is the first study to demonstrate that the purses of both women and men from the community could be contaminated with micro-organisms". They also say that these are "potential vectors for transmission of diseases" and that the use of synthetic purses in particular should be discouraged. This laboratory study looked at the bacteria surrounding us in our environment, this time focusing on sampling carried out on men’s and women’s purses or wallets. Considering that the vast majority of adults will own some form of purse or wallet, this was a very small sample of purses being tested. The characteristics found in this sample – such as bacterial levels, or purse use and washing habits – may not apply to the general population. This was also a specific sample of people from Mauritius. The warm, humid, tropical environment may be a different breeding ground for bacteria, compared with colder climates such as the UK. The study only swabbed the outside of the purse. When thinking of the possible bacterial carriage of a purse or wallet, people may think that this could come from the "unclean" coins and notes that have transferred through many hands. However, the study did not swabbed the inside of the purse, which could have given different results. Related to this, it is possible that the researchers could have swabbed almost any surface in the environment and found similar bacterial growth. They chose the outside of the purse. They could have swabbed handbags, keys, money, mobiles, computers, door handles – the list goes on. We don’t live in a completely sterile, bacteria-free environment and we are always surrounded by potential sources of infection. From this study, the purse shouldn’t be singled out as the thing we need to ditch to be completely safe from any bacteria. The researchers have called purses "potential vectors for transmission of diseases". The study does not show that purses directly have or could cause infection. One of the most common types of bacteria grown was Staphylococcus. This is normally carried harmlessly on the skin of most people. It is only in certain circumstances that it causes infection – for example, if the person has a weak immune system through other disease or illness, or if the skin is wounded, allowing the bacteria to enter the body. Similarly, the other two bacteria grown – Micrococcus and Bacillus – are both found in the natural environment and usually carry no risk to humans. As the researchers rightly say, these bacteria have been called "opportunistic" organisms, rarely causing infection in healthy people. Being, reportedly, the first study to swab and culture bacteria from purses, this research may be of interest, but it should not be a cause for concern for people who own a purse. Not regularly washing your hands before preparing food or after going to the toilet is probably a bigger threat to your health than having a messy purse. “Cystic fibrosis hope as new gene therapy improves condition,” The Daily Telegraph reports. Researchers have, for the first time, managed to successfully "smuggle" healthy copies of genes into the lungs of people with cystic fibrosis. Cystic fibrosis is a genetic condition caused by a mutated gene called CFTR. The mutation causes the lungs and digestive system to become clogged up with sticky mucus. The goal of gene therapy for cystic fibrosis is to replace the faulty CFTR gene with a working one. Previous attempts of using a virus to deliver the working gene proved unsuccessful, as the lungs’ defence system against infection stopped the virus from entering. In this new study, the researchers tried a different approach – the gene was encased in a bubble of fat, which was then delivered to the lungs via a nebuliser. When compared to placebo, the nebuliser-delivered approach showed a modest, but significant, improvement in lung function (3.7%). A 3.7% improvement may not sound that impressive, but the exciting news is that the technique actually worked in a few of the study’s participants in the first place. It may be possible to enhance the technique in the future to boost lung function dramatically. It is likely that larger and longer trials are now being planned. The study was carried out by researchers from University of Oxford and Imperial College London, and was jointly funded by the Cystic Fibrosis Trust, National Institute for Health Research (NIHR) Clinical Research Network, and Just Gene Therapy. The study was published in the peer-reviewed medical journal The Lancet on an open-access basis, so it is free to read online or download as a PDF. This story was widely covered by UK media. Overall, the media reported the story accurately, but the limitations of the study were not fully explained. BBC News published an important quote from one of the researchers involved in this study, Prof Eric Alton, of Imperial College London, who said: "The effect is modest and it is variable. It is not ready to go straight into the clinic yet." This was a randomised controlled trial (RCT) that aimed to assess the effectiveness of non-viral gene therapy compared with inactive placebo in people with cystic fibrosis. It was a phase 2b trial, meaning it was gathering information on effectiveness and safety, which will hopefully pave the way to larger phase 3 trials comparing the technique with existing treatments. An early sign is that an affected child’s sweat is unusually salty, which can be noticeable when you kiss your child. However, most cases of cystic fibrosis in the UK are now identified through screening tests carried out early in life, before symptoms appear. There is currently no cure for cystic fibrosis. Treatment options for cystic fibrosis include those that aim to control symptoms, such as physiotherapy (a range of exercises can clear mucus from the lungs) and bronchodilators (a type of medication that expands the airways, making it easier to breathe), and antibiotics to treat lung infections. In some cases, a lung transplant may eventually be required, if the lungs become extensively damaged. Previous studies have tried to use viruses to deliver a functioning CFTR gene into the lungs, with limited success. This study used a non-virus based method to deliver the CFTR gene – encasing it in a bubble of fat – in the expectation this would be more successful. RCTs are one of the best types of study design to determine whether a treatment is effective. Potential biases are reduced through randomisation. This study was also double blind, meaning that both patients and those assessing them were unaware of whether the person had received treatment or placebo. A group of 140 people with cystic fibrosis were randomly assigned to either the gene treatment, which was given the name pGM169/GL67A (78 patients), or placebo (62 patients). Patients received either 5ml of pGM169/GL67A (containing 13.3mg of plasmid DNA and 75mg of the GL67A lipid mixture), or 5ml of inactive saline (salt solution) through a nebuliser (a machine that converts the medicine to a mist, so it can be inhaled into the lungs). Patients received either treatment or placebo at 28-day intervals (plus or minus 5 days) for 12 months. Patients in both groups also received an average of three courses of oral or intravenous antibiotics during the trial. Patients recruited for this study were from 18 sites in the UK and were aged 12 years or older. Their lung function was measured using a standard test called forced expiratory volume in 1 second (FEV1). This measures the amount of air that can be forcibly exhaled in the first second after a maximal inspiration. To be included in the study, participants had to have an FEV1 of 50-90% of the normal level. The main outcome of interest was the change in the percentage of predicted FEV1. Other outcomes examined were CT scans of the lungs, self-reported symptoms ratings and quality of life scores. The main analysis was per-protocol. Per-protocol means that only people who took the medicine as planned were analysed. This excludes those who had dropped out for any reason. Intention to treat analysis is the more realistic scenario, as people might stop treatment in the real world. Per protocol analysis gives a good idea of whether the medicine works in those who took it as intended. In this study, the per-protocol analysis included 116 people, 83% of those were randomised. Researchers found that, overall, the treatment (pGM169/GL67A) significantly improved FEV1 by 3.7% compared with placebo at 12 months follow-up. This was described as a “modest” benefit to lung function and a statistically significant one. The changes within each of the individual groups were an average reduction of 4.0% in the placebo group, compared with a 0.4% reduction in the pGM169/GL67A group. This means that lung function got a little worse in both groups over the year, but those in the placebo group deteriorated more. This led some headlines to report that the new drug was able to “stabilise” symptoms; that is, stopping them getting any worse, which was accurate. There was no statistically significant difference between groups in adverse effects like fatigue and increased respiratory symptoms and flu-like symptoms. Overall, authors say that some patients responded to the new treatment better than the others. Six serious adverse events, all in the pGM169/GL67A group, were recorded. But neither the Data Monitoring and Ethics Committee, nor the Trial Steering Committee involved in the research, regarded any serious adverse event as related to the study drug. One event was considered to be possibly related to a trial procedure (bronchoscopy). This RCT showed that a new non-viral-based gene therapy for cystic fibrosis was able to produce “modest” benefits in lung function compared to a placebo. The treatments were given once a month for a year. The study had many strengths, including its double-blind randomised design, recruiting adequate numbers to demonstrate real differences between groups, and using pre-specified outcomes and sub-analysis. This means we can be confident in the reliability of the findings presented. Although the findings of this study are encouraging, there are always limitations. This study was relatively small, recruiting just 140 patients. This is normal for a phase II trial, but large clinical trials are needed to fully assess the effects and safety of this treatment in development. Patients recruited in this trial had to be clinically stable to be included. This means they might be at their optimum respiratory health at this stage. Therefore, we don’t know how the treatment would work in clinically unstable or very severe patient groups. It is important to realise that both groups’ lung function got worse over the year, so the treatment as it stands is quite limited. The new gene therapy was able to lessen some of the deterioration, but not in all. Nonetheless, this gives the researchers hope and scope to work out how to improve it. Optimising the dose, working out why it worked in some people and not others, and trialling the therapy in more people are the natural next steps in this treatment development. This is very much a proof-of-concept study rather than a study that provides a viable treatment in itself. It is a breakthrough in the development of gene therapy treatment for cystic fibrosis, but there is a lot of refinement and experimentation needed before this could be a routinely available treatment. As we enter the final hours of the 2016 US presidential campaign, an interesting trend is noticeable: three states in the US South, traditionally thought of as a conservative Republican bastion, seem to be in play. Here are four reasons why Florida, Georgia, and North Carolina in particular might just surprise us this year. Ever since the American Civil War, the states that founded the Confederacy have been known as the “Deep South”: Louisiana, Mississippi, Alabama, Florida, Georgia, and South Carolina. Along with the other states who seceded – Texas, Virginia, Arkansas, North Carolina, and Tennessee – they make up “Dixieland”, a region memorialised in song, steeped in tradition, and inseparable from the history of race in America. From 1880-1948, Dixieland block-voted Democratic all but twice (1920 and 1928). But then in 1948, Louisiana, Mississippi, Alabama and South Carolina voted for third-party segregationist candidate Strom Thurmond. These southern Democrat states became known as Dixiecrats, opposed to racial integration and determined to protect the southern way of life. They developed a reputation for voting in favour of segregation even when it meant crossing party lines. In reality the votes of these four states, though sometimes opposing the Democratic candidate, were more in opposition to “everyone else” than they were to their own party. They stood all but alone in support of the Democrats against Dwight Eisenhower in 1952 and 1956, in opposition to Democrat and civil rights supporter Lyndon Johnson in 1964, and in support of third-party segregationist George Wallace in 1968. With the re-election of Richard Nixon in 1972, the entirety of Dixieland voted solidly with the Republican Party. Yet for six of the next ten elections, southern states diverged from the Republican candidate to support one of their own, such as Jimmy Carter or Bill Clinton, and to support a new face, such as Barack Obama. The 11 states of Dixieland have delivered a unified vote in only six of the 20 elections since World War II. We therefore must acknowledge that the bloc of southern states that supposedly vote as one changes from one election to the next. Neither Florida nor Georgia nor North Carolina were part of the original Dixiecrat cohort. Florida voted differently to the majority of the South in nine of the last 17 elections, thereby earning its reputation as a swing state. Georgia did not support Thurmond in 1948, it supported Clinton in 1992, and stayed loyal to its native Jimmy Carter in 1980 along with only four other states in the entire country. North Carolina, meanwhile, voted for Johnson (1964), Carter (1976), and Obama (2008). To complicate the picture further, these three states’ electorates are steadily becoming less and less white. 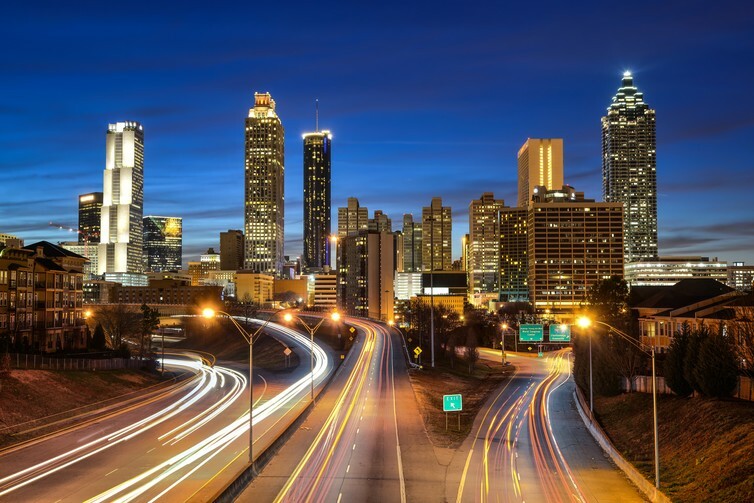 This is thanks in part to internal migration toward hubs of innovation and intellect, among them the Georgia capital, Atlanta, and North Carolina’s Research Triangle, which now boasts the headquarters of more than 170 companies. A richer civic life and the creation of jobs in the international market are drawing in a more diverse and more educated electorate. Compared to traditional southern Republicans or Trump supporters, these people are less likely to feel voiceless or to see themselves as outsiders to the economic gains and cultural change that have come with globalisation. They are less likely to support Trump than they were to support 2008’s John McCain or 2012’s Mitt Romney. Then there’s immigration from abroad. The percentage of the US population who are legal foreign-born residents has been on the rise since 1970; 44% of them are naturalised and therefore able to vote as of 2010. In Georgia and North Carolina, nearly 10% of the population is foreign-born; in Florida, the figure is nearly 20%. These changes mean there are pockets of the electorate unlikely to agree with Trump’s views on immigration. Though one of the southern states who seceded from the union, Florida has never reliably voted with its neighbours. Not for the first time, the state looks like a true toss-up. Florida’s former governor and failed 2016 candidate Jeb Bush is not voting for either Trump or Clinton. Florida hasn’t broken with the Bushes in a single election where they’ve run, and while there isn’t a Bush on the ballot this year, both his and the family’s feelings are abundantly clear. Both Bush presidents have declined to comment on the race, which many consider to be near-endorsements of Hillary Clinton by their silence alone; former first lady Barbara Bush has explicitly spoken out against voting for Trump. Trump has also been disowned by a number of important Florida Republicans, including many in the Bush orbit. The list includes such luminaries as senior Florida Congresswoman Ileana Ros-Lehtinen, former Jeb Bush aide and campaign manager Sally Bradshaw, and major Republican donor Mike Fernandez. Ros-Lehtinen plans to write Bush’s name on her ballot. Bradshaw has formally left the Republican Party and says she will vote for Clinton if the race in Florida is close. Fernandez has in fact gone so far as to publicly endorse and raise money for Clinton, telling Republicans to vote Republican for every office except the presidency. These leaders have substantial political and financial clout in the state; by withholding their resources, mobilising their networks and speaking out publicly, they have the potential to convince millions of Florida voters to support Clinton or stay home altogether. It might seem novel or unexpected that so many southern states are in play right now – but looking back over their electoral history, their current leanings are less surprising than we think. Gina Yannitell Reinhardt receives funding from the British Academy, the Wellcome Trust, and the Economic and Social Research Council. Factcheck: does cannabis cause a quarter of psychosis cases? It's been reported that a quarter of psychosis cases are the result of cannabis use, according to new research. But the research only covered one region. The post Factcheck: does cannabis cause a quarter of psychosis cases? appeared first on Full Fact. Today’s review of the evidence on e-cigarettes puts NHS prescription on the agenda, but there's more to it than this one recommendation. The post E-cigarettes on the NHS? Not so fast appeared first on Full Fact. Housing was first up in Jeremy Corbyn's debut Prime Minister's Questions, where he claimed there was a housing gap of around 100,000. The post How large is the housing gap? appeared first on Full Fact.